Accommodation at StayEasy Rustenburg is comfortable and uncomplicated with a focus on providing what you need within your budget. 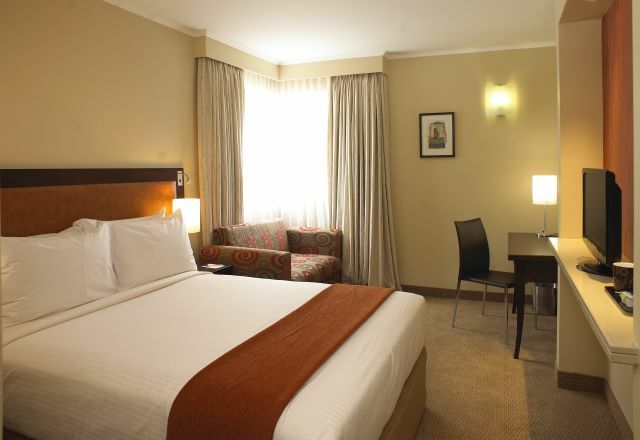 Accommodation comprises 125 spacious en-suite rooms that are tastefully and comfortably furnished. Rooms are equipped with a range of carefully chosen amenities which include air conditioning, free WiFi, TV with DStv channels, in-room tea and coffee facilities, a work station and hair dryer. The addition of services like an 18-hour porter service ensure the comfort of our guests. StayEasy Rustenburg is designed and built with carbon-lowering and environmentally beneficial principles as a cornerstone of its operations. The use of natural building materials and a style that complements the surrounding environment, characterises the hotel’s commitment to practicality, combined with affordability.